Everyone enjoys being part of a community. If you choose to create a customized patch for your group, you build a sense of community by recognizing the people you care about. 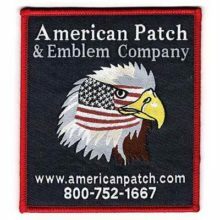 When you order from American Patch & Emblem Company, you take a step into a world of your own creation. 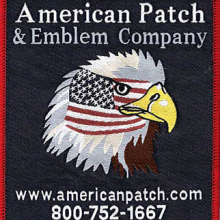 At American Patch, we pride ourselves on manufacturing high-quality patches no matter what size they might be. However, large patches seem to have several distinct advantages. 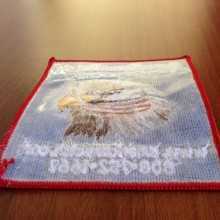 At American Patch, we create patches using three different techniques: weaving, embroidery, and dye. 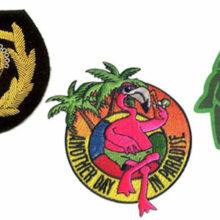 Woven and embroidered patches both use thread to give you a more traditional looking patch than dyed patches. However, the two have their differences. Here, we explain a woven patch vs. embroidered patch. 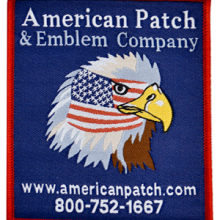 At American Patch, we create a variety of patch types to suit your needs. 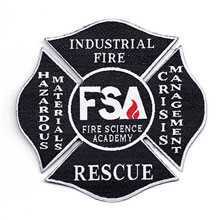 One of the most popular type is our woven patch, which is different from an embroidered patch. Woven patches are created by weaving threads together to form the patch. This provides a number of advantages. 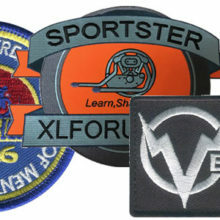 Here are four reasons to choose custom woven patches. 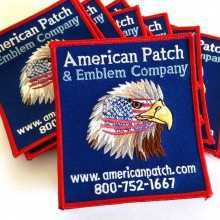 Custom patch marketing is a great way to gain exposure for your business and at American Patch, we can help you do it. We offer embroidered, woven, dye sublimated, and combination patches that you can use in a variety of ways to spread the word about your company. If you’ve followed the news lately, one of the latest innovations in the clothing world is clothing that is designed to protect you from the sun. Recently, our clothing patches company came across this Business Insider article that explores UPF (Ultraviolet Protection Factor) clothing and the best brands to turn to if you want to expand your skin-protecting wardrobe. If you’re in the market for patches and haven’t heard, American Patch offers a new patch method called “combination patches.” We’ve combined the look of traditional embroidered patches with the modern technique of dye sublimated patches to create something new and exciting. When you think of embroidery, you probably think of the floral hoop art that hangs on your grandmother’s wall. And when you think of crocheting, you probably think of the sweater your aunt made you. 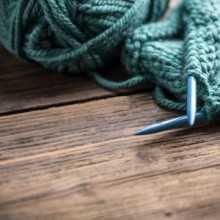 While the origins of embroidery and crocheting go back thousands of years (and yes, they’re usually hobbies among older people), the art forms are now part of the latest clothing trends. Do you own a business? Are you part of a club? Do you have a special event coming up? There are many reasons that you may want to create your own custom patches, but if you don’t have a piece artwork that you want to recreate for the design, you may not know where to start. Here are some helpful tips. Even though we can create embroidered patches in nearly any size, we’ve noticed over the years that when it comes to stitching, the bigger the better. While the stitching we create is clean and tight, it actually looks a little smoother when it’s created in a large scale. This is because the thread we use is the same thickness whether you order a small patch or a large patch. 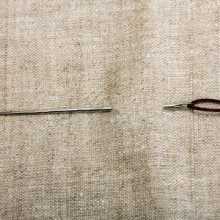 Whether you’re male, female, 20 years old, or 80 years old, there are a few simple sewing techniques that everyone should know how to do. They can come in very handy in certain situations and it never hurts to have some basic sewing knowledge. Embroidered patches are making a big comeback and fashion-forward individuals are coming up with new and creative ways to wear theirs. Here, our embroidered patch company shares some great ideas for sprucing up your clothing or accessories. If you’ve never heard of a bullion crest, you’ve probably at least seen one. These patches are essentially gold, silver, or gold and silver emblems that feature crests, vines, leaves, birds, or other decorative images to create a polished look. They can be used by a wide variety of clubs and organizations and at American Patch, we can create beautiful bullion crests for any reason. At American Patch, we’re happy to announce that we now offer merit badge patches! 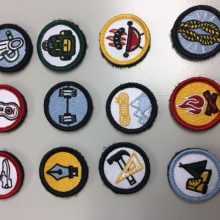 While merit badges are mainly used in Boy Scouts, they can actually be used by anyone and for nearly any occasion. 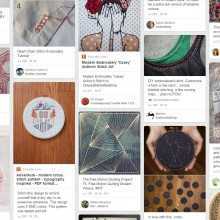 If you’re interested in quilting and have never tried it before, there are some things to know before you begin. Here, our embroidered patch company shares some beginner tips for quilting. 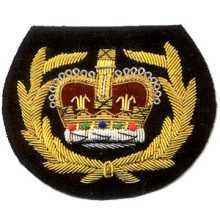 For years, the most common type of clothing or decorative patch was the embroidered patch. Over time, however, society has gotten more creative with crafting processes and has introduced newer ways to create patches. 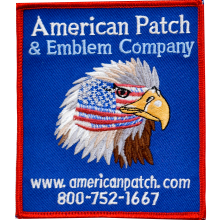 At American Patch, we offer traditional embroidered patches, but we also offer woven patches and dye sublimated patches. Here are the differences. Baseball season is an exciting time of year and we at American Patch want to help you celebrate it and remember it. 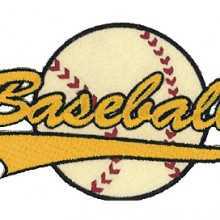 Our embroidered baseball patches have been some of our most popular sports patches, and it’s because they can be used in many different ways to say many different things. Here are some of our favorite ways to use baseball patches. Sewing is definitely an art, an at our custom patch company, we think it’s one that’s well worth learning. While the basics are pretty easy to grasp, there are always a few tips or tricks that can make the experience easier. Here are some of our favorites. For years, the classic way to create custom patches was to sew threads onto a substrate in order to create words a design, or an image. 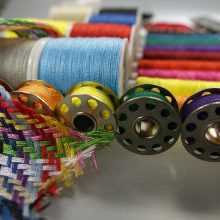 Today, thread is still the most popular material used to create patches, but we also have a new material – dye. 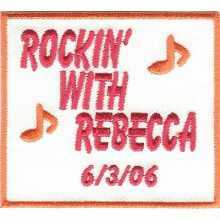 Custom patches, whether they’re embroidered, woven, or dye sublimated, are a great way to promote your business. Not only are they inexpensive, but they’re works of art that many people are proud to display. 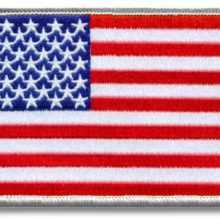 At American Patch, we create many of our embroidered, woven, and dye sublimated patches with our standard plastic backing to give them a bit of stiffness. 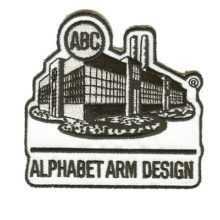 However, there are many other types of backings that you can use for your patches. Here are some of the most popular. 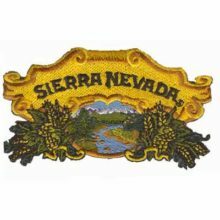 What is the difference between embroidered and woven patches? This is a common question that is frequently asked by our new customers and is often not fully understood by many people that have been involved in purchasing patches for years. 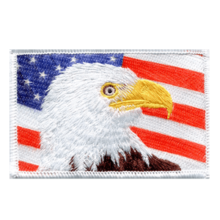 At American Patch, we love making custom scout patches for our Boy Scouts and Girl Service Troops; these patches let them express who they really are and the pride they have for their organization. The most common uses for these patches that we’ve encountered tend to be. At American Patch, we love creating embroidered patches for people – and we love hearing what they’re going to use them for. We’ve created everything from car patches to museum patches, but have found that these eight ideas are what people use them most for. These days, police forces in many states are opting to switch their traditional uniform badges to badges that are embroidered. Traditional badges are made from metals like brass and coated with layers of nickel, silver, or gold, so they can be heavy and weigh down an officer’s uniform. Veteran’s Day is coming up (this Monday, the 11th), so to honor all of our military veterans, we thought we’d share with you what the rank embroidered patches mean on military uniforms. Embroidered patches are considered pieces of art and can be used for a wide variety of occasions – they can be used to represent a company or organization, as a commemoration, to display achievements, to identify military personnel, or simply for decorative purposes.